Emotions and thoughts have been swirling through my mind since I heard about the acts of terrorism in Paris this past weekend. Paris is a city I love dearly, having lived there for over a year in the 70’s in my mid-twenties and returning many times to visit. I first began reading about the banlieues (outskirts or suburbs) of Paris about a decade ago. This was not the Paris I first experienced. It had become a city of haves and have nots, with the native insiders living within the city and the outsiders/immigrants relegated to substandard lives on the outskirts of the city. These outsiders burned cars and trashed their neighborhoods as a way of expressing their frustration and anger. Eventually things returned to the status quo and their frustration was forgotten. But this past weekend’s events, in which local terrorists took the lives of over 100 Parisians, remind us again that this hatred is not dead. More extreme and widespread violence has just begun, and we are now wondering what to do next to contain or combat extremists throughout the world. This is where teaching comes into the discussion. I am so proud of my profession; moreso than ever. In the United States teachers are the ambassadors of plurality, seeking to find ways to assimilate and educate our newcomers as they arrive at our borders and in our airports. This is not to say that all teachers welcome undocumented immigrants and their families; prejudice and scorn often rear their heads in faculty lunchrooms. But even those who do not appreciate our tolerance for immigrants understand that our nation was built on their efforts and continues to flourish in many ways because of them. They also understand that building a wall is not the best way to solve the immigrant dilemma. Supporting the assimilation of immigrant children and their families into our culture is how our nation will continue to sustain its principles of freedom and equality. I have often questioned my own beliefs as a teacher of English to immigrant students over the past several decades. But I have always come to the conclusion that becoming more understanding of people from other cultures, while helping their children to become better educated and assimilated, is the only way to continue to build a foundation of trust and strength. I am particularly proud of my fellow English as a Second Language teachers. We are often not held in high regard in our own schools or communities because of the controversial work we do, but we are the best advocates in our educational system for making sure that all children have equal access to a good education. 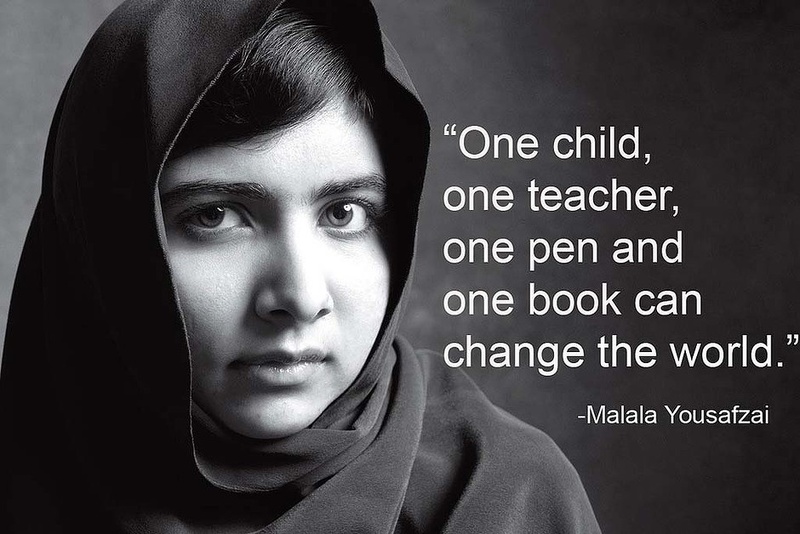 Education is terrorism’s worst enemy and the best weapon we have for preserving our values. I have owned the two volumes of Marcel Proust’s Remembrance of Things Past probably for 3 decades. They were published in 1934 and I just learned recently on Wikipedia that my edition is the earliest translation of Proust’s remarkable work of fiction. I tried to read Proust shortly after buying the books for $10 at a specialty book store in Huntington, now long gone. But I was too young and not yet ready for such a serious, lengthy and slow-paced contemplation of a life. I thought I had failed somehow to appreciate Proust, and so the two volumes sat on a shelf in one of my bookcases for years and years. This past year I had cancer and when I began to recover I felt like I could read again. The toxicity of chemo had made it impossible for me to even contemplate reading which is usually my favorite pastime. Feeling much better, I looked forward to picking up a book again. But what would I choose to read after such a life changing experience? Given that I am now retired (since last June) and have no serious demands on my time (now that I am “cancer’free), I thought perhaps I would give Proust a second look. Besides, he and I had something in common; we’d both spent a lot of time at home in bed. I was actually nervous about reading Proust. English majors have their own brand of crazy and one manifestation of that is their relationship to reading. We all know the Great Works of Literature, have read all or parts of them as students, and have the illusion that somehow we will get around to reading someday those we missed in college or think we should have read but didn’t. I wasn’t sure I was up to the task of reading such an erudite work of literature; after all, it had been years since I had tackled anything of that complexity. But it was now or never, I thought. And so, for the past several months, I either sat in my recliner for an hour and read during the day, or picked up the book again at bedtime when I could only manage to read 5 to 10 pages at a time before I got too tired. At first Proust’s prose was arduous to read. It is so specific and detailed, so carefully composed in sentences that are often two to three lines in length with all kinds of interjections, and his thoughts are so convoluted that often just getting through one page is a feat! I learned to let go of my usual speed-reading style and slow down, really slow down, to try to get the gist of what he was writing about. I have never encountered another writer quite like him, although sometimes he reminds me of Dickens in his pursuit of atmosphere and character description that can go on and on for pages. In addition to his wordy writing style, his observations about high-society in turn of the century Paris, which mostly took place in stuffy drawing rooms crammed with period furniture and very pretentious and often boring people, are not very plot driven. In fact, almost nothing at all seems to happen for hundreds of pages. At first I thought, “This is so silly.” I wasn’t really enjoying the experience of reading him that much, and it was hard to concentrate so hard all the time. But slowly, as I got used to the rhythm of his prose and adapted to his pace and the eccentricities of the period about which he was writing, I began to feel more positive. I began to notice his acerbic comments about the types of people he met in these drawing rooms and realized that his remembrances were colored by his own lens which was not always flattering! I have now completed the first volume, all 1l70 pages of it, and decided to give myself a break before I tackle Volume II. That this grand opus is an original work of genius is unquestionable. That anyone could re-imagine and re-create a life in such detail is amazing; that Proust wrote it within the walls of his bedroom during an illness that lasted more than a decade and barely ventured from his home is astonishing. That he captured the period of the turn of the century in Paris in his characterizations and dialogue is unarguable. Is his work as “great” as we have been led to believe? Have I enjoyed the experience of reading a work that is so difficult to absorb? I am not sure…but I’ll let you know after I read Volume II. Or you can read it yourself!